Elza Erkip received the B.S. degree in Electrical and Electronic Engineering from Middle East Technical University, Turkey, and the M.S. and Ph.D. degrees in Electrical Engineering from Stanford University. Currently, she is a Professor of Electrical and Computer Engineering at Polytechnic Institute of New York University. Her research interests are in information theory, communication theory and wireless communications. Dr. Erkip is a Fellow of the IEEE and a Member of the Science Academy Society of Turkey. She received the NSF CAREER award in 2001, the IEEE Communications Society Stephen O. Rice Paper Prize in 2004, the IEEE ICC Communication Theory Symposium Best Paper Award in 2007, and the IEEE Communications Society Award for Advances in Communication in 2013. She co-authored a paper that received the IEEE International Symposium on Information Theory Student Paper Award in 2007. She was as a Finalist for The New York Academy of Sciences Blavatnik Awards for Young Scientists in 2010. Currently she is a Distinguished Lecturer of IEEE Information Theory Society. 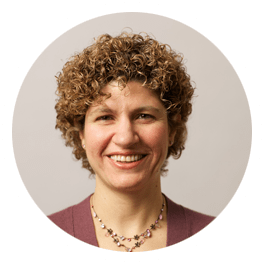 She is also a General Chair of 2013 IEEE International Symposium of Information Theory and a Member of the Board of Governors of IEEE Information Theory Society. Dr. Erkip was an an Associate Editor of IEEE Transactions on Information Theory from 2009-2011, an Associate Editor of IEEE Transactions on Communications from 2006-2008, a Publications Editor of IEEE Transactions on Information Theory from 2006-2008 and a Guest Editor of IEEE Signal Processing Magazine in 2007. She was a Technical Program Chair of International Symposium on Modeling and Optimization in Mobile, Ad Hoc, and Wireless Networks (WiOpt) in 2011, a Technical Program Chair of IEEE GLOBECOM Communication Theory Symposium in 2009, the Publications Chair of IEEE Information Theory Workshop, Taormina in 2009, the Technical Area Chair for the MIMO Communications and Signal Processing track of Asilomar Conference on Signals, Systems, and Computers in 2007, and a Technical Program Chair of IEEE Communication Theory Workshop in 2006. She organized the Workshop on Cooperative Communications in 2005 and co-organized the workshop Malignant Spaghetti: Wireless Technologies in Hospital Health Care in 2008, both sponsored by WICAT, an NSF Industry/University Cooperative Research Center at Polytechnic Institute of NYU. My research interests include wireless communications, information theory and communication theory. Below are some of my current research projects with links to relevant publications. A chronological list can be found in my publications page. Wireless communication systems suffer from fading and multipath distortion, as well as interference caused by multiple users operating over a limited bandwidth. Cooperation of users, by enabling wireless terminals to assist each other in transmitting information to their desired destinations, provides a good solution to the problems that current wireless technologies face. At the physical layer, terminals overhear one another’s signals, process and retransmit to form a virtual antenna array. Through cooperation, it is possible to obtain the spatial diversity benefits of multi-input multi-output (MIMO) systems without necessarily having a physical antenna array at each terminal. Furthermore, unlike MIMO systems, cooperation is able to successfully mitigate shadow fading. Cooperative communication techniques can easily adapt to the changing environment by opportunistically redistributing network resources such as energy and bandwidth. Incorporating the notion of cooperation at the medium access control (MAC) layer extends the benefits to large networks resulting in high throughput, low delay, reduced interference, low transmitted power and extended coverage. Cross-layer design between the application layer and the physical layer enables high quality multimedia transmission over cooperative wireless links. Our work in this area spans multiple layers of the protocol stack including physical, MAC, networking and application layers. We are interested the theory of cooperative networking (such as information theoretic aspects) as well as implementation (such as a cooperative networking testbed). Our paper “User cooperation-diversity: Part I and II” won 2004 IEEE Communications Society Stephen O. Rice Paper Prize in the Field of Communications Theory, as the best original paper published in IEEE Transactions on Communications in 2003.The paper “User cooperation-diversity: Part I” also won 2013 IEEE Communications Society Advances in Communications Award, as an outstanding paper published in any IEEE Communications Society Publication in the previous 15 calender years. The paper “Diversity-multiplexing tradeoff in half-duplex relay systems” was selected as the best paper of the Communication Theory Symposium of ICC 2007. This research is partly funded by NSF through grants #0093163, #0430885, #0520054, #0635177, #0708989, #0722868, #0905446 and #1032035. Y. Liu and E. Erkip. Completion time in single hop networks: An information theoretic perspective, IEEE Transactions on Information Theory, submitted. X. Liu and E. Erkip. Energy-efficient communication over Gaussian interference networks with processing energy cost, IEEE Transactions on Wireless Communications, revised. X. Liu, O. Simeone and E. Erkip. Lossy computing of correlated sources with fractional sampling. IEEE Transactions on Communications, revised. S. Gokturk, O. Gurbuz and E. Erkip. A cross-layer multi-hop cooperative network architecture for wireless ad hoc networks, Computer Networks, revised. D. Gunduz, E. Erkip, A. Goldsmith and H.V. Poor. Reliable joint source-channel cooperative transmission over relay networks. IEEE Transactions on Information Theory, vol. 59, no. 4, pp. 2442-2458, April 2013. K. Bakanoglu, E. Erkip, O. Simeone and S. Shamai. Relay channel with orthogonal components and structured interference known at the source, IEEE Transactions on Communications, vol. 61, no. 4, pp. 1277-1289, April 2013. C, Nie, P. Liu, T. Korakis, E. Erkip, S. Panwar. Cooperative relaying in next generation mobile WiMAX networks. IEEE Transactions on Vehicular Technology, vol. 62, no. 3, pp. 1399-1405, March 2013. X. Liu, O. Simeone, E. Erkip. Energy efficient sensing and communication of parallel sources. IEEE Transactions on Communications, vol. 60, no. 12, pp. 3826-3835, December 2012. P. Castiglione, O. Simeone, E. Erkip and T. Zemen. Energy management policies for energy-neutral source-channel coding. IEEE Transactions on Communications, vol. 60, no. 9, pp. 2668-2678, September 2012. P. Liu, C. Nie, T. Korakis, E. Erkip, S. Panwar, F. Verde and A. Scaglione. STiCMAC: A MAC protocol for robust space-time coding in cooperative wireless LANs. IEEE Transactions on Wireless Communications, vol. 11, no. 4, pp. 1358-1369, April 2012. O. Sahin, O. Simeone and E. Erkip. Gaussian interference channel aided by a relay with out-of-band reception and in-band transmission. IEEE Transactions on Communications,vol. 59, no. 11, pp. 2976-2981, November 2011. O. Alay, P. Liu, Y. Wang, E. Erkip and S. Panwar, Cooperative layered video multicast using randomized distributed space-time codes. IEEE Transactions on Multimedia, vol. 13, no. 5, pp. 1127-1140, October 2011. M. Yuksel, X. Liu and E. Erkip. A secure communication game with a relay helping the eavesdropper. IEEE Transactions on Information Forensics and Security, Special Issue on Using the Physical Layer for Securing the Next Generation of Communication Systems, vol. 6, no. 3, Part 1, pp. 818-830, September 2011. O. Simeone, O. Somekh, E. Erkip, H. V. Poor, S. Shamai. Robust communication via decentralized processing with unreliable backhaul links. IEEE Transactions on Information Theory, vol. 57, no. 7, pp. 4187-4201, July 2011. O. Simeone, E. Erkip and S. Shamai. On codebook information for interference relay channels with out-of-band relaying. IEEE Transactions on Information Theory Special Issue on Interference Networks, vol. 57, no. 5, pp. 2880-2888, May 2011. Xi Liu and E. Erkip. A game-theoretic view of the interference channel: Impact of coordination and bargaining. IEEE Transactions on Information Theory Special Issue on Interference Networks, vol. 57, no. 5, pp. 2805-2820, May 2011. O. Sahin, O. Simeone and E. Erkip. Interference channel with and out-of-band relay. IEEE Transactions on Information Theory, Special Issue on Interference Networks, vol. 57, no. 5, pp. 2746-2764, May 2011. L. Sankar, X. Shang, E. Erkip and H.V. Poor. Ergodic fading interference channels: Sum-capacity and separability. IEEE Transactions on Information Theory Special Issue on Interference Networks, vol. 57, no. 5, pp. 2605-2626, May 2011. K. Bakanoglu, S. Tomasin and E. Erkip. Resource allocation for the parallel relay channel with multiple relays. IEEE Transactions on Wireless Communications, vol 10, no. 3, pp. 792-802, March 2011. M. Yuksel and E. Erkip. Diversity-multiplexing tradeoff for the multiple-antenna wiretap channel. IEEE Transactions on Wireless Communications, vol 10, no. 3, pp. 762-771, March 2011. O. Simeone, E. Erkip and S. Shamai. Robust transmission and interference management for femtocells with unreliable network access. IEEE Journal on Selected Areas on Communications, Special Issue on Cooperative Communications on Cellular Networks, vol. 28, no. 9, pp. 1469 – 1478, December 2010. F. Verde, T. Korakis, E. Erkip and A. Scaglione. A simple recruitment scheme of multiple nodes for cooperative MAC. IEEE Transactions on Communications, vol. 58, no. 9, pp. 2667 – 2682, September 2010. O. Alay, T. Korakis, Y. Wang, E. Erkip and S. Panwar. Layered wireless video multicast using relays. IEEE Transactions on Circuits and Systems for Video Technology, vol. 20, no.8, 1095 – 1109, August 2010. Y. Fan, L. Lai, E. Erkip and H.V. Poor. Rateless coding for MIMO fading channels: Performance limit and code construction. IEEE Transactions on Wireless Communications, vol. 9, no. 4, pp. 1288-1292, April 2010. J. Nayak, E. Tuncel, D. Gunduz and E. Erkip. Successive refinement of vector sources under individual distortion criteria. IEEE Transactions on Information Theory, vol. 56, no. 4, pp. 1769-1781, April 2010. C.T. K. Ng, D. Gunduz, A.J. Goldsmith and E. Erkip. Distortion minimization in Gaussian layered broadcast coding with successive refinement. IEEE Transactions on Information Theory, vol.55, no. 10, pp.5074-5086, November 2009. D. Gunduz, E. Erkip, A. Goldsmith and H. V. Poor. Source and channel coding for correlated sources over multi-user channels. IEEE Transactions on Information Theory, vol.55, no. 9, pp. 3927-3946, September 2009. T. Korakis, M. Knox, E. Erkip and S. Panwar. Cooperative network implementation using open source platforms. IEEE Communications Magazine, vol. 47, no. 2, pp. 134-141,February 2009. D. Gunduz and E. Erkip. Joint source channel codes for MIMO block fading channels. IEEE Transactions on Information Theory, vol. 54, no. 1, pp 116-134, January 2008. M. Yuksel and E. Erkip. Multi-antenna cooperative wireless systems: A diversity multiplexing tradeoff perspective. IEEE Transactions on Information Theory, Special Issue on Models, Theory, and Codes for Relaying and Cooperation in Communication Networks, vol. 53, no. 10, pp. 3371-3393, October 2007. D. Gunduz and E. Erkip. Source and channel coding for cooperative relaying. IEEE Transactions on Information Theory, Special Issue on Models, Theory, and Codes for Relaying and Cooperation in Communication Networks, vol. 53, no. 10, pp. 3453-3475, October 2007. A. Chakrabarti, E. Erkip, A. Sabharwal and B. Aazhang. Code designs for cooperative communication. IEEE Signal Processing Magazine, Special Issue on Signal Processing forMultiterminal Communication Systems, vol. 24, no. 5, pp.16-26, September 2007. H.Y. Shutoy, D. Gunduz, E. Erkip and Y. Wang. Cooperative source and channel coding for wireless multimedia communications. IEEE Journal on Selected Topics on Signal Processing, Special Issue on Network-Aware Multimedia Processing and Communications, vol. 1, no. 2, pp. 295-307, August 2007. X. Lu, Y. Wang, E. Erkip and D. Goodman. Total power minimization for multiuser video communications over CDMA networks. IEEE Transactions on Circuits and Systems for Video Technology, vol. 17, no. 6, pp. 674-685, June 2007. D. Gunduz and E. Erkip. Opportunistic cooperation by dynamic resource allocation. IEEE Transactions on Wireless Communications, vol. 6, no. 4, pp. 1446-1454, April 2007. P. Liu, Z. Tao, Z. Lin, E. Erkip and S. Panwar. Cooperative wireless communications: A cross-layer approach. IEEE Wireless Communications Magazine, vol. 13, no. 4, pp. 84-92, August 2006 (invited paper). Z. Lin, E. Erkip and A. Stefanov. Cooperative regions and partner choice in coded cooperative systems. IEEE Transactions on Communications, vol. 54, no. 7, pp. 1323-1334, July 2006. A. Stefanov and E. Erkip. Cooperative space-time coding for wireless networks. IEEE Transactions on Communications, vol. 53, no. 11, pp. 1804-1809, November 2005. S. Das, E. Erkip, J. Cavallaro and B. Aazhang. Low complexity iterative multiuser detection and decoding for real-time applications. IEEE Transactions on Wireless Communications, vol. 4, no. 4, pp. 1455-1460, July 2005. A. Stefanov and E. Erkip. Cooperative coding for wireless networks. IEEE Transactions on Communications, vol. 52, no. 9, pp. 1470-1476, September 2004. X. Lu, E. Erkip, Y. Wang and D. Goodman. Power efficient multimedia communication over wireless channels. IEEE Journal on Selected Areas on Communications, Special Issue on Recent Advances in Wireless Multimedia, vol.21, no. 10, pp.1738-1751, December 2003. K. K. Mukkavilli, A, Sabharwal, E. Erkip and B. Aazhang. On beamforming with finite rate feedback in multiple antenna systems. IEEE Transactions on Information Theory, Special Issue on Space-Time Transmission, Reception, Coding and Signal Design, vol. 49, no.10, pp. 2562-2579, October 2003. D. Rajan, E. Erkip and B. Aazhang. Spreading and power allocation for multiple antenna transmission using decorrelating receivers. IEEE Transactions on Wireless Communications, vol. 2, no. 3, pp. 436-445, May 2003. E. Erkip and T. Cover. The efficiency of investment information. IEEE Transactions on Information Theory, vol. 44, no. 3, pp. 1026-1040, May 1998. D. Gunduz, E. Erkip and H.V. Poor. Source coding under security constraints. In Securing Wireless Communications at the Physical Layer, edited by Wade Trappe and RuohengLiu, pp. 173-200, Springer-Verlag, 2010 (invited). M. Yuksel and E. Erkip. Information theoretic limits on cooperative communications. 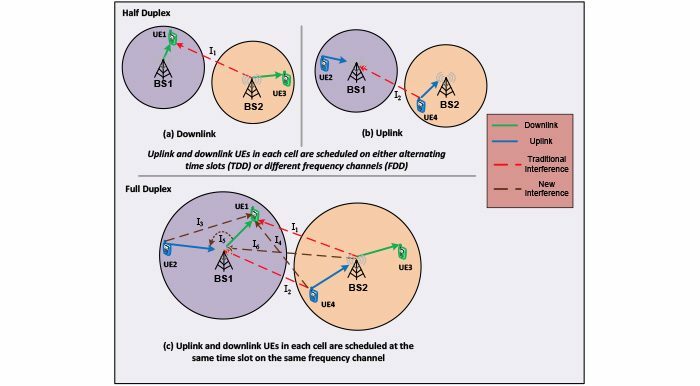 In Cooperative Communications for Improved Wireless Network Transmission, edited by Murat Uysal, Chapter 1, pp. 1-28, IGI –Global, 2009 (invited). E. Erkip, A. Sendonaris, A. Stefanov and B. Aazhang. Cooperative Communication in Wireless Systems. In Advances in Network Information Theory, edited by Piyush Gupta, Gerhard Kramer and Adriaan J. van Wijngaarden, pp. 303-320, AMS DIMACS Series, 2004 (invited). E. Erkip, X. Lu, Y. Wang, D. Goodman. Total power optimization for wireless multimedia communication. In System Level Power Optimization for Wireless Multimedia Communication: Power Aware Computing, edited by R. Karri and D. Goodman, Chapter 1, Kluwer Academic Publishers, 2002. Y. Liu and E. Erkip. Bounds on the capacity region of a class of Gaussian broadcast interference channels. To appear, Proceedings of IEEE International Symposium on Information Theory, Istanbul, Turkey, July 2013. O. Orhan and E. Erkip. Throughput maximization for energy harvesting two-hop networks. To appear, Proceedings of IEEE International Symposium on Information Theory, Istanbul, Turkey, July 2013. O. Orhan, D. Gunduz and E. Erkip. Delay-constrained distortion minimization for energy harvesting transmission over a fading channel. To appear, Proceedings of IEEE International Symposium on Information Theory, Istanbul, Turkey, July 2013. O. Orhan, D. Gunduz and E. Erkip. Optimal packet scheduling for an energy harvesting transmitter with processing cost. In Proceedings of International Conference on Communications (ICC), Budapest, Hungary, June 2013. N. Shende, O. Gurbuz and E. Erkip. Half-duplex or full-duplex relaying: A capacity analysis under self-interference. In Proceedings of 2013 Conference on Information Sciences and Systems, Baltimore, March 2013. Z. Guo, Y. Wang. E. Erkip and S. Panwar. Video multicast through cooperative incremental parity packet transmission. In Proceedings of 2013 ACM Workshop on Mobile Video (MOVID13), Oslo, Norway, February 2013. F. Rezagah and E. Erkip. Interactive source coding with reconstruction constraints. In 2013 UCSD ITA Workshop, San Diego, CA, February 2013 (invited). X. Liu, O. Simeone and E. Erkip. Lossy computing of correlated sources. In Proceedings of IEEE Information Theory Workshop, Lausanne, Switzerland, September 2012 (invited). O. Orhan. D. Gunduz and E. Erkip. Throughput maximization for an energy harvesting system with processing cost. In Proceedings of IEEE Information Theory Workshop, Lausanne, Switzerland, September 2012 (invited). X. Liu, O. Simeone and E. Erkip. Energy efficient sensing and communication of parallel Gaussian sources. In Proceedings of IEEE International Symposium on Information Theory, Boston, MA, July 2012. Y. Liu and E. Erkip. On a class of discrete memoryless broadcast interference channels. In Proceedings of IEEE International Symposium on Information Theory, Boston, MA, July 2012. F. Liu, E. Erkip, M. Beluri, R. Yang and E. Bala. Dual-band femtocell traffic balancing over licensed and unlicensed bands. In Proceedings of International Workshop on Small Cell Wireless Networks, held in conjunction with ICC, Ottawa, Canada, June 2012. X. Xu, O. Alay, E. Erkip, Y. Wang and S. Panwar. Two-way wireless video communication using randomized cooperation, network coding and packet level FEC. In Proceedings of Workshop on Realizing Advanced Video Optimized Wireless Networks, held in conjunction with ICC, Ottawa, Canada, June 2012. S. Gokturk, O. Gurbuz and E. Erkip. RECOMAC: A cross-layer cooperative network protocol for wireless ad hoc networks. In Proceedings of Fifth IFIP International Conference on New Technologies, Mobility and Security (NTMS), Istanbul, Turkey, May 2012. O. Orhan and E. Erkip. Energy harvesting two-hop networks: Optimal policies for the multienergy arrival case. In Proceedings of IEEE Sarnoff Symposium, Princeton, New Jersey, March 2012 (invited). O. Orhan and E. Erkip. Optimal transmission policies for energy harvesting two-hop networks. In Proceedings of 2012 Conference on Information Sciences and Systems, Princeton, March 2012. K. Bakanoglu, E. Erkip, O. Simeone and S. Shamai. Relaying under structured interference. In Proceedings of 2012 Conference on Information Sciences and Systems, Princeton, March 2012. X. Liu, O. Simeone and E. Erkip. Energy-efficient sensing and communication of parallel Gaussian sources. In 2012 UCSD ITA Workshop, San Diego, CA, February 2012 (invited). P. Castiglione, O. Simeone, E. Erkip and T. Zemen. Energy-harvesting for source-channel coding in cyber-physical systems. In Proceedings of IEEE International Workshop on Computational Advances in Multi-Sensor Adaptive Processing, San Juan, Puerto Rico, December 2011 (invited). S. Rangan and E. Erkip. Hierarchical mobility via relaying in dense wireless networks. In Proceedings of IEEE GLOBECOM Wireless Communications Symposium, Houston, Texas, December 2011. X. Liu and E. Erkip. On the Gaussian Z-interference channel with processing energy cost. In Proceedings of Asilomar Conference on Signals, Systems and Computers, Pacific Grove, California, November 2011. K. Bakanoglu, E. Erkip and O. Simeone. Half-duplex Gaussian diamond relay channel with interference known at one relay. In Proceedings of Asilomar Conference on Signals, Systems and Computers, Pacific Grove, California, November 2011. S. Gokturk, E. Erkip and O. Gurbuz. A cooperative routing framework based on randomized coding in wireless ad hoc networks. In Proceedings of IEEE International Conference on Mobile Adhoc and Sensor Systems (MASS), Valencia, Spain, October 2011. Y. Liu and E. Erkip. Completion time in multi-access channel: An information theoretic perspective. In Proceedings of IEEE Information Theory Workshop, Paraty, Brazil, October 2011. Y. Liu and E. Erkip. Completion time in broadcast channel and interference channel. In Proceedings of Forty-Ninth Annual Allerton Conference on Communication, Control, and Computing, Allerton, Illinois September 2011. X. Liu, O. Simeone and E. Erkip. Energy efficient wireless communication: Impact of energy harvesting and processing energy. In International Workshop on Green Wireless, held in conjunction with PIMRC, Toronto, September 2011. Y. Liu and E. Erkip. On sum capacity of K-user cascade Gaussian Z-interference channel. In Proceedings of IEEE International Symposium on Information Theory, St. Petersburg, Russia, August 2011. B. Kaufman. E. Erkip. J. O. Lilleberg and B. Aazhang. Femtocells in cellular radio networks with successive interference cancellation. In Proceedings of IEEE ICC Workshop on Heterogeneous Network, Kyoto, Japan, June 2011. P. Castiglione, O. Simeone, E. Erkip and T. Zemen. Energy-neutral source-channel coding in energy-harvesting wireless sensors. In Proceedings of International Symposium on Modeling and Optimization in Mobile, Ad Hoc, and Wireless Networks (WiOpt), Princeton, New Jersey, May 2011. F. Liu, E. Bala, E. Erkip, R. Yang. A framework for femtocells to access both licensed and unlicensed bands. In Proceedings of the Third International Workshop on Indoor and Outdoor Femto Cells (IOFC), held in conjunction with WiOpt, Princeton, New Jersey, May 2011. K. Bakanoglu and E. Erkip. Relaying in the presence of an external interferer. In 2011 UCSD ITA Workshop, San Diego, CA, February 2011 (invited). K. Bakanoglu and E. Erkip. Relay channel with non-causal interference information at the source. In Proceedings of Asilomar Conference on Signals, Systems and Computers,Pacific Grove, California, November 2010 (invited). X. Liu and E. Erkip. Alternating-offer bargaining games over the Gaussian interference channel. In Proceedings of Forty-Eighth Annual Allerton Conference on Communication, Control, and Computing, September 2010. M. Yuksel, X. Liu, E. Erkip. A secrecy game with an informed jammer relay. In Proceedings of IEEE International Symposium on Personal, Indoor and Mobile Radio Communications 2010 (PIMRC), Istanbul, Turkey, September 2010 (invited). O. Alay, Z. Guo, Y. Wang, E. Erkip, S. Panwar. Enhanced parity packet transmission for video multicast using R-DSTC. In Proceedings of IEEE International Symposium on Personal, Indoor and Mobile Radio Communications 2010 (PIMRC), Istanbul, Turkey, September 2010. T. Duong, O. Alay, E. Erkip, H. Zepernick. End-to-end performance of randomized distributed space-time codes. In Proceedings of IEEE International Symposium on Personal, Indoor and Mobile Radio Communications 2010 (PIMRC), Istanbul, Turkey, September 2010. E. Erkip and M. Gonen. Estimation of cellular and genetic diversity. Presented at the 2010 Joint Statistical Meetings, Vancouver, Canada, August 2010. X. Liu and E. Erkip. Coordination and bargaining over the Gaussian interference channel. In Proceedings of IEEE International Symposium on Information Theory, Austin, TX, June 2010. O. Sahin, O. Simeone, E.Erkip. Interference channel with a half-duplex out-of-band relay. In Proceedings of IEEE International Symposium on Information Theory, Austin, TX, June 2010. D. Gunduz, E. Erkip. A. Goldsmith and H.V. Poor. Cooperative relaying in sensor networks. In Proceedings of 2010 Conference on Cognitive Radio Oriented Wireless Networks and Communications (CROWNCOM), Cannes, France, June 2010 (invited). Xi Liu and E. Erkip. A game-theoretic perspective of the interference channel: Impact of coordination and bargaining. Presented at the 2010 IEEE Communication Theory Workshop (invited talk), Cancun, Mexico, May 2010. F. Liu, J. Lin, Z. Tao, T. Korakis, E. Erkip and S. Panwar. The hidden cost of hidden terminals. In Proceedings of 2010 International Conference on Communications, Cape Town,South Africa, May 2010. M. Yuksel and E. Erkip. Diversity-multiplexing tradeoff for MIMO wiretap channels with CSIT. In Proceedings of 2010 European Wireless Conference, Lucca, Italy, April 2010 (invited). M. Knox and E. Erkip. Implementation of cooperative communications using software defined radios. In Proceedings of 2010 International Conference on Acoustics, Speech and Signal Processing, Dallas, TX, March 2010 (invited). O. Alay, P. Liu, Y. Wang, E. Erkip and S. Panwar. Error resilient video multicast using randomized distributed space-time codes. In Proceedings of 2010 International Conference on Acoustics, Speech and Signal Processing, Dallas, TX, March 2010 (invited). O. Simeone, E. Erkip and S. Shamai. Oblivious relaying for primitive interference relay channels. In Proceedings of 2010 International Zurich Seminar on Communications,Zurich, Switzerland, March 2010 (invited). O. Simeone, E. Erkip and S. Shamai. Achievable rates for multicell systems with femtocells and network MIMO. In Proceedings of 2010 International Zurich Seminar on Communications, Zurich, Switzerland, March 2010 (invited). O. Simeone, E. Erkip, S. Shamai. On exploiting the interference structure for reliable communications. In Proceedings of Conference on Information Sciences and Systems (CISS), Princeton, NJ, March 2010. O. Sahin, O. Simeone, E. Erkip. Gaussian interference channel with an out-of-band relay. In 2010 UCSD ITA Workshop, San Diego, CA, February 2010 (invited). O. Simeone, E. Erkip, S. Shamai. Oblivious and out-of-band relaying for interference networks. In 2010 UCSD ITA Workshop, San Diego, CA, February 2010 (invited). P. Liu, C. Nie, E. Erkip and S. Panwar. 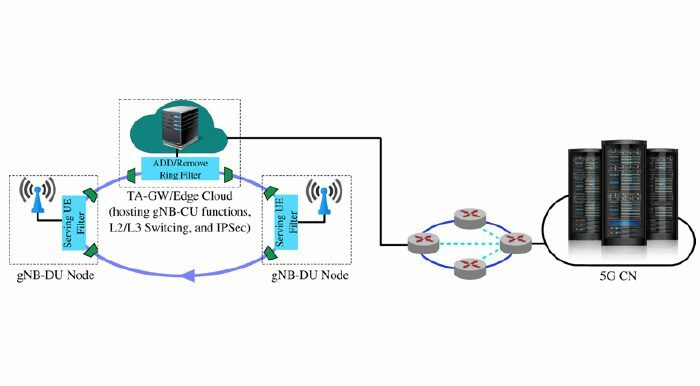 Robust cooperative relaying in a wireless LAN: Cross-layer design and performance analysis. In Proceedings of 2009 GLOBECOM Wireless Networking Symposium, Honolulu, Hawaii, December 2009. M. Yuksel, X. Liu and E. Erkip. A secure communication game with a relay helping the eavesdropper. In Proceedings of 2009 Information Theory Workshop, Taormina, Italy, October 2009. O. Simeone, E. Erkip and S, Shamai. Robust communications against femtocells access failure. In Proceedings of 2009 Information Theory Workshop, Taormina, Italy, October 2009. O. Sahin, O. Simeone, E. Erkip. Interference channel aided by an infrastructure relay. In Proceedings of IEEE International Symposium on Information Theory, Seoul, Korea, June 2009. O. Simeone, O. Somekh, E. Erkip, V. Poor, S. Shamai. Multirelay channel with non-ergodic link failures. In Proceedings of 2009 Information Theory Workshop, Volos, Greece, June 2009. C. Nie, P. Liu, T. Korakis, E. Erkip and S. Panwar. CoopMAX: A cooperative MAC with randomized distributed space-time coding for an IEEE 802.16 network. In, Proceedings of 2009 ICC Wireless Networking Symposium, June 2009. M. Knox, E. Erkip, K.K. Singh, Cooperative communication implementation at the physical layer. In Proceedings of 2009 Wireless and Optical Communications Conference,Newark, NJ, May 2009. O. Alay, P. Liu, Z. Guo, L. Wang, Y. Wang, E. Erkip, S. Panwar. Cooperative layered video multicast using randomized distributed space-time codes. In Proceedings of INFOCOM 2009 Workshop on Mobile Video Delivery, Rio de Janeiro, Brazil, April 2009. O. Alay, X. Pan, E. Erkip, Y. Wang. Layered randomized cooperative multicast for lossy data: A superposition approach. In Proceedings of 2009 Conference on Information Sciences and Systems, Baltimore, MD, March 2009. C. Bilen, E. Erkip and Y. Wang. Layered video multicast using diversity embedded space-time codes. In Proceedings of 2009 IEEE Sarnoff Symposium, Princeton, New Jersey, March 2009 (invited). O. Simeone, O. Somekh, E. Erkip, H. V. Poor, S. Shamai (Shitz). A broadcast approach to robust communications over unreliable multi-relay networks. In 2009 UCSD ITA Workshop, San Diego, CA, February 2009 (invited). O. Sahin, E. Erkip, O. Simeone. Interference channel with a relay: Models, relaying strategies, bounds. In 2009 UCSD ITA Workshop, San Diego, CA, February 2009 (invited). P. Liu, Y. Liu, T. Korakis, A. Scaglione, E. Erkip, S. Panwar. Cooperative MAC for rate adaptive randomized distributed space-time coding. In Proceedings of 2008 GLOBECOM Wireless Networking Symposium, New Orleans, Lousiana, November 2008. O. Alay, K. Guan, Y. Wang, E. Erkip, S. Panwar, R. Ghanadan. Wireless video multicast in tactical environments. In Proceedings of MILCOM 2008, San Diego, California, November 2008. O. Sahin and E. Erkip. Cognitive relaying with one-sided interference. In Proceedings of Forty Second Annual Asilomar Conference on Signals, Systems and Computers, Pacific Grove, California, October 2008 (invited). O. Alay, R. Ding, E. Erkip, Y. Wang, A. Scaglione. Layered randomized cooperation for multicast. In Proceedings of Forty Second Annual Asilomar Conference on Signals, Systems and Computers, Pacific Grove, California, October 2008 (invited). K. Bakanoglu, S. Tomasin, E. Erkip. Resource allocation for the parallel relay channel with multiple relays. In Proceedings of Forty Second Annual Asilomar Conference on Signals, Systems and Computers, Pacific Grove, California, October 2008. L. Sankar, X. Shang, E. Erkip, H.V. Poor. Ergodic two-user interference channels: Is separability optimal? In Proceedings of Forty-Sixth Annual Allerton Conference on Communication, Control, and Computing, September 2008. D. Gunduz, E. Erkip and H.V. Poor. Lossless compression with security constraints. In Proceedings of IEEE International Symposium on Information Theory, Toronto, Canada, July 2008. D. Gunduz, E. Erkip, A. Goldsmith and H.V. Poor. Lossy source transmission over the relay channel. In Proceedings of IEEE International Symposium on Information Theory,Toronto, Canada, July 2008. L. Sankar, E. Erkip and H.V. Poor. Sum-capacity of ergodic fading interference and compound multiaccess channels. In Proceedings of IEEE International Symposium on Information Theory, Toronto, Canada, July 2008. Y. Fan, L. Lai, E. Erkip and H.V. Poor. Rateless coding for MIMO block fading channels. In Proceedings of IEEE International Symposium on Information Theory, Toronto, Canada, July 2008. F. Verde, T. Korakis, E. Erkip and A. Scaglione. On avoiding collisions and promoting cooperation: Catching two birds with one stone. In Proceedings of 2008 International Workshop on Signal Processing Advances for Wireless Communications (SPAWC), Recife, Brazil, July 2008. D. Gunduz, E. Erkip and H.V. Poor. Secure lossless compression with side information. In Proceedings of 2008 Information Theory Workshop, Porto, Portugal, May 2008. O. Sahin and E. Erkip. Cooperative interference management: The role of cognitive relaying. Presented at the 2008 IEEE Communication Theory Workshop (invited talk), St. Croix, USVI, May 2008. Click here for the slides. O. Alay, T. Korakis, Y. Wang, E. Erkip and S. Panwar. Layered wireless video multicast using omnidirectional relays. In Proceedings of ICASSP, Las Vegas, NV, April 2008. M. Yuksel and E. Erkip. Diversity-multiplexing tradeoff for the multi-antenna wire-tap channel. In Proceedings of 2008 Conference on Information Sciences and Systems,Princeton, NJ, March 2008. J. Yang, D. Gunduz, D.R. Brown III, E. Erkip. Resource allocation for cooperative relaying. In Proceedings of 2008 Conference on Information Sciences and Systems, Princeton,NJ, March 2008. D. Gunduz, E. Erkip and H.V. Poor. Secure source compression with side information. In 2008 UCSD ITA Workshop, San Diego, CA, Jan. 2008 (invited). O. Sahin and E. Erkip. Achievable rates for the Gaussian interference relay channel. In Proceedings of 2007 GLOBECOM Communication Theory Symposium, Washington D.C., November 2007. O. Sahin and E. Erkip. On achievable rates for interference relay channel with interference cancellation. In Proceedings of Forty First Annual Asilomar Conference on Signals, Systems and Computers, Pacific Grove, California, November 2007 (invited paper). O. Alay, E. Erkip and Y. Wang. Cooperative transmission of correlated Gaussian sources. In Proceedings of Forty First Annual Asilomar Conference on Signals, Systems and Computers, Pacific Grove, California, November 2007. K. Bakanoglu, D. Gunduz, E. Erkip. Dynamic resource allocation for the broadband relay channel. In Proceedings of Forty First Annual Asilomar Conference on Signals, Systems and Computers, Pacific Grove, California, November 2007. M. Yuksel and E. Erkip. Secure communication with a relay helping the wiretapper. In Proceedings of 2007 Information Theory Workshop, Lake Tahoe, California, September 2007 (invited paper). J. Nayak, E. Tuncel, D. Gunduz, and E. Erkip. Successive refinement of vector sources under individual distortion criteria. In Proceedings of 2007 Information Theory Workshop,Lake Tahoe, California, September 2007 (invited paper). D. Gunduz and E. Erkip. Reliable cooperative source transmission with side information. In Proceedings of 2007 Information Theory Workshop, Bergen, Norway, July 2007 (invited paper). D. Gunduz and E. Erkip. Interference channel and compound MAC with correlated sources and receiver side information. In Proceedings of IEEE International Symposium on Information Theory, Nice, France, June 2007. D. Gunduz, C. T. K. Ng, E. Erkip and A. J. Goldsmith. Source transmission over relay channel with correlated relay side information. In Proceedings of IEEE International Symposium on Information Theory, Nice, France, June 2007. C. T. K. Ng, D. Gunduz, A. J. Goldsmith and E. Erkip. Recursive power allocation in Gaussian joint source-channel layered broadcast coding. In Proceedings of 2007 ICC Communication Theory Symposium, Glasgow, Scotland, June 2007. D. Gunduz and E. Erkip. Lossless transmission of correlated sources over a multiple access channel with side information. In Proceedings of Data Compression Conference, Snowbird, Utah, March 2007. D. Gunduz and E. Erkip. Correlated sources over an asymmetric multiple access channel with one distortion criterion. In Proceedings of 2007 Conference on Information Sciences and Systems, Baltimore, MD, March 2007. M. Yuksel and E. Erkip. The relay channel with a wiretapper. In Proceedings of 2007 Conference on Information Sciences and Systems, Baltimore, MD, March 2007. O. Sahin and E. Erkip. Dynamic resource allocation for multi source-destination relay networks. In Proceedings of 2007 Conference on Information Sciences and Systems,Baltimore, MD, March 2007. D. Gunduz and E. Erkip. Transmission of correlated sources over multiuser channels with receiver side information. In 2007 UCSD ITA Workshop, San Diego, CA, Jan. 2007 (invited paper). Z. Lin, E. Erkip and M. Ghosh. Rate adaptation for coded cooperative systems. In Proceedings of 2006 GLOBECOM Communication Theory Symposium, San Francisco, December 2006. H. Shutoy, Y. Wang and E. Erkip. Cooperative source and channel coding for wireless video transmission. In Proceedings of IEEE International Conference on Image Processing,Atlanta, Georgia, October 2006 (invited paper). M. Yuksel and E. Erkip. Diversity-multiplexing tradeoff in multiple-antenna relay systems. In Proceedings of 2006 IEEE International Symposium on Information Theory, Seattle, July 2006. D. Gunduz and E. Erkip. Distortion exponent of parallel fading channels. In Proceedings of 2006 IEEE International Symposium on Information Theory, Seattle, July 2006. O. Sahin, E. Erkip and D. Goodman. Iterative power control for wireless multimedia communications. In Proceedings of IEEE International Conference on Acoustics, Speech, and Signal Processing, Toulouse, France, May 2006. M. Yuksel and E. Erkip. Diversity-multiplexing tradeoff in cooperative wireless systems. In Proceedings of the 2006 Conference on Information Sciences and Systems, Princeton University, New Jersey, March 2006. D. Gunduz and E. Erkip. Distortion exponent of MIMO fading channels. In Proceedings of 2006 Information Theory Workshop, Punta del Este, Uruguay, March 2006. D. Gunduz and E. Erkip. Source and channel coding for quasi-static fading channels. In Proceedings of Thirty Ninth Annual Asilomar Conference on Signals, Systems and Computers, Pacific Grove, California, November 2005. Z. Lin and E. Erkip. Relay search algorithms for coded cooperative systems. In Proceedings of 2005 GLOBECOM Communication Theory Symposium, St. Louis, December 2005. M. Yuksel and E. Erkip. Can virtual MIMO mimic a multi-antenna system: Diversity-multiplexing tradeoff for wireless relay networks. Presented at the 2005 IEEE Communication Theory Workshop (invited talk), Park City, Utah, June 2005. Click here for the slides. D. Gunduz and E. Erkip. Outage minimization by opportunistic cooperation. In Proceedings of 2005 WirelessCom, Symposium on Information Theory, Maui, Hawaii, June 2005. Z. Lin, E. Erkip and M. Ghosh. Adaptive modulation for coded cooperative systems. In Proceedings of 2005 International Workshop on Signal Processing Advances for Wireless Communications (SPAWC), New York City, June 2005. D. Gunduz and E. Erkip. Source and channel coding for cooperative relaying. In Proceedings of 2005 International Workshop on Signal Processing Advances for Wireless Communications (SPAWC), New York City, June 2005 (invited paper). X. Xu, D. Gunduz, E. Erkip and Y. Wang. Layered cooperative source and channel coding. In Proceedings of 2005 ICC Multimedia Communication and Home Networking Symposium, Seoul, Korea, May 2005 (invited paper). D. Gunduz and E. Erkip. Opportunistic cooperation and power control strategies for delay-limited capacity. In Proceedings of 2005 CISS, Baltimore, March 2005. X. Lu, Y. Wang, E. Erkip and D. Goodman. Minimize the total power consumption for multiuser video transmission over CDMA wireless network: A two-step approach. InProceedings of 2005 ICASSP, Philadelphia, March 2005. X. Xu, Y. Wang and E. Erkip. Layered cooperation for wireless multimedia communications. In Proceedings of 2004 Picture Coding Symposium, San Francisco, December 2004 (invited paper). Z. Lin, E. Erkip and A. Stefanov. Cooperative regions for coded cooperative systems. In Proceedings of 2004 GLOBECOM Communication Theory Symposium, Dallas, December 2004. X. Lu, D. Goodman, Y. Wang and E. Erkip. Complexity-bounded power control in video transmission over a CDMA wireless network. In Proceedings of 2004 GLOBECOM Wireless Communications, Networks and Systems Symposium, Dallas, December 2004. M. Yuksel and E. Erkip. Broadcast strategies for the fading relay channel. In Proceedings of 2004 Military Communications Conference, Monterey, November 2004 (invited paper). Z. Lin, E. Erkip and A. Stefanov. Exact pairwise error probability for the MIMO block fading channel. In Proceedings of 2004 International Symposium on Information Theory and its Applications, Parma, Italy, October 2004. Z. Lin, E. Erkip and A. Stefanov. An asymptotic analysis on the performance of coded cooperation systems. In Proceedings of 2004 Fall Vehicular Technology Conference, Los Angeles, September 2004. D. Gunduz and E. Erkip. Joint source-channel cooperation: Diversity versus spectral efficiency. In Proceedings of 2004 International Symposium on Information Theory, Chicago, June 2004. M. Yuksel and E. Erkip. Diversity gains and clustering in wireless relaying. In Proceedings of 2004 International Symposium on Information Theory, Chicago, June 2004. X. Lu, Y. Wang, E. Erkip and D. Goodman. Power optimization of source encoding and radio transmission in mutliuser CDMA systems. In Proceedings of 2004 ICC Wireless Communications Symposium, Paris, France, June 2004. M. Yuksel and E. Erkip. Diversity in relaying protocols with amplify and forward. In Proceedings of 2003 GLOBECOM Communication Theory Symposium, San Francisco, December 2003. Z. Lin, E. Erkip and A. Stefanov. Simple derivation of exact pairwise error probability for rayleigh block fading channels. In Proceedings of 41st Annual Allerton Conference on Communication, Control and Computing, October 2003. K. K. Mukkavilli, A. Sabharwal, E. Erkip and B. Aazhang. Beamformer design with feedback rate constraints: Criteria and Constructions. In Proceedings of 2003 International Symposium on Information Theory, Yokohoma, Japan, July 2003. A. Stefanov and E. Erkip. Cooperative Coding Theory and Applications. Presented at the 32nd Annual IEEE Communication Theory Workshop (invited talk), Mesa, Arizona, April 2003. A. Stefanov and E. Erkip. Cooperative Space-Time Coding for Wireless Networks. In Proceedings of IEEE Information Theory Workshop, La Sorbonne, Paris, France, April 2003. E. Erkip. Cooperative Communications in Wireless Systems. Presented at DIMACS Workshop on Network Information Theory (invited talk), Rutgers, NJ, March 2003. Joint work with A. Stefanov, A. Sendonaris, B. Aazhang. Click here for the slides. A. Stefanov and E. Erkip. On the performance analysis of cooperative space-time coded systems. In Proceedings of IEEE Wireless Communications and Networking Conference (WCNC 2003), New Orleans, Lousiana, March 2003. K. K. Mukkavilli, A. Sabharwal, E. Erkip and B. Aazhang. Performance limits on beamforming with finite rate feedback for multiple antenna systems. In Proceedings of Thirty Sixth Annual Asilomar Conference on Signals, Systems and Computers, Pacific Grove, California, November 2002. A. Stefanov and E. Erkip. Cooperative coding for wireless networks. In Proceedings of IEEE Conference on Mobile and Wireless Communications Networks, Stockholm, Sweden, September 2002. X. Lu, Y. Wang and E. Erkip. Power efficient H.263 video transmission over wireless channels. In Proceedings of 2002 International Conference on Image Processing, Rochester,New York, September 2002. A. Stefanov and E. Erkip. Cooperative information transmission in wireless networks. In Proceedings of 2002 Asian-European Information Theory Workshop, Breisach, Germany, June 2002. E. Erkip, X. Lu, Y. Wang and D. Goodman. Total power optimization for wireless multimedia communication. Presented in IMPACCT 2002, Integrated Management of Power Aware Communications, Computing and Networking Workshop, in conjunction with ICC 2002, New York, New York, May 2002. The paper appeared in an edited volume byKluwer. E. Erkip, Y. Wang, D, Goodman, Y. Wu and X. Lu. Energy efficient coding and transmission. In Proceedings of Spring 2001 Vehicular Technology Conference, Rhodes, Greece, May 2001. S. Das, E. Erkip, J. Cavallaro and B. Aazhang. Maximum weight basis decoding of convolutional codes. In Proceedings of 2000 GLOBECOM Communication Theory Symposium, San Francisco, California, November 2000. A. Sabharwal, E. Erkip and B. Aazhang. On channel state information in multiple antenna block fading channels. In Proceedings of 2000 International Symposium on Information Theory and its Applications, pp. 116-119, Honolulu, Hawaii, November 2000. E. Erkip. Capacity and power control for spatial diversity. In Proceedings of the 2000 Conference on Information Sciences and Systems (invited talk), pp. WA4-28/WA4-31,Princeton University, New Jersey, March 2000. D. Rajan, E. Erkip and B. Aazhang. New spread-spectrum techniques for transmit antenna diversity. In Proceedings of 1999 GLOBECOM Communication Theory Symposium, pp. 2321-2325, Rio de Janerio, Brazil, December 1999. S. Das, E. Erkip, J. Cavallaro and B. Aazhang. Iterative multiuser detection and decoding. In Proceedings of 1998 GLOBECOM Communications Theory Symposium, pp. 106-111, Sydney, Australia, November 1998. S. Das, E. Erkip and B. Aazhang, Computationally efficient iterative multiuser detection and decoding. In Proceedings of Thirty Second Annual Asilomar Conference on Signals, Systems and Computers (invited talk), pp. 631-634, Pacific Grove, California, November 1998. E. Erkip and B. Aazhang. Multiple access schemes over multipath fading channels. In Proceedings of 1998 IEEE International Symposium on Information Theory, page 216, MIT, August 1998. A. Sendonaris, E. Erkip and B. Aazhang. Increasing uplink capacity via user cooperation diversity. In Proceedings of 1998 IEEE International Symposium on Information Theory, page 156, MIT, August 1998. M. Gonen and E. Erkip. Infinitesimal Bayesian robustness via Kullback-Leibler distance. Presented at Sixth Valencia International Meeting on Bayesian Statistics, Alcossebre,Spain, May 1998. E. Erkip and B. Aazhang. A comparative study of multiple accessing schemes. In Proceedings of the Thirty First Annual Asilomar Conference on Signals, Systems, and Computers (invited talk), pp. 614-619, Pacific Grove, California, November 1997. E. Erkip and T. Cover. The initial efficiency of investment for the general market. In Proceedings of 1997 IEEE International Symposium on Information Theory, page 283, Ulm,Germany, June 1997. E. Erkip and T. Cover. The relation of description rate and investment growth rate. In Proceedings of 1995 IEEE International Symposium on Information Theory, page 73, Whistler, Canada, September 1995. T. Cover and E. Erkip. Information efficiency in investment. In Proceedings of 1995 IEEE International Symposium on Information Theory, page 9, Whistler, Canada, September 1995. Elza Erkip. The Efficiency of Information in Investment. Ph.D. Thesis, Stanford University, August 1996.